Virat Kohli: Do I look pious puja-paath type? 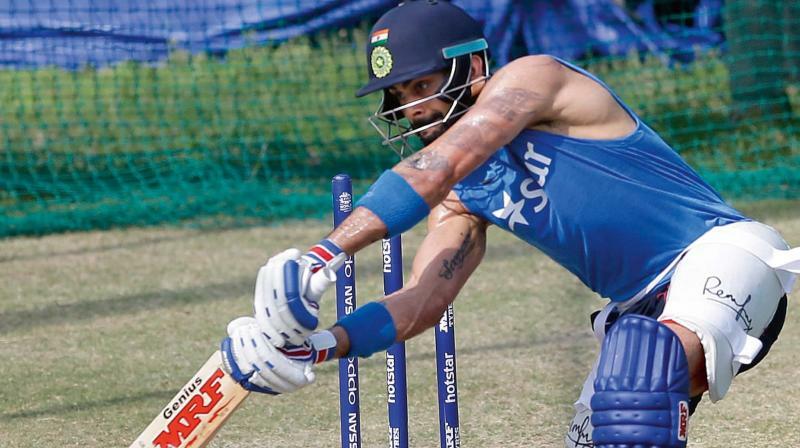 I was a guy with tattoos and fashionable clothes, but as a cricketer, I try to learn every day, every session says Kohli. Mohali: It is M.S. Dhoni versus journalists, these days. Not that Dhoni is the one to blame, though. After shutting up a journalist in Bengaluru after the one-run win over Bangladesh, Captain Cool lost his cool again on Saturday. Team India had just finished a 20-minute football game during warm-up and was headed to the nets when a photojournalist standing on the ropes called out to Mahi. A visibly irritated Dhoni shot back, “Cricket khel lein (Can I play cricket first)?” The paparazzi didn’t get the message. “Do you want me to play,” he teased. Dhoni put him down with a nasty one. “If you had the ability, you would have been here (on the ground)”. Virat Kohli put another down in his own fashion.